One of the guiding principles behind my firm – and really, my life – is that you need to be willing to try new things. That helps me stay young, I think, but also helps to avoid getting too complacent in an ever-changing digital marketing world. 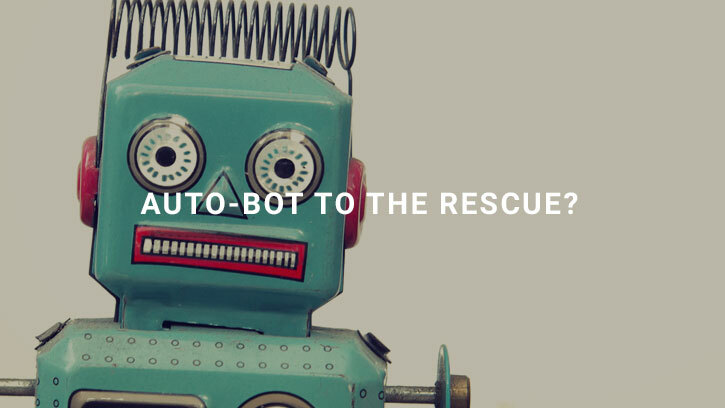 I preface this post with that bit of insight because I recently decided to try a tactic I think many of my clients and colleagues would probably like to know more about: using a chat bot on my website. Even if you haven’t used a chat bot before as a marketer, you have undoubtedly come across many of them in your own web browsing. The idea behind their use is pretty simple: they pop up and start a conversation with a website visitor. Most dispense basic information based on anticipated questions. Configured properly, the better ones hand you off to a real person. In theory, using the chat bot should be a great way to engage visitors to your website and answer their questions. But, I wondered, would things really work out that way? I got my chance to find out when HubSpot offered a tool that would allow us a chance (as a Platinum Certified Partner) to set up a new chat tool on our own website. After spending a little bit of time getting familiar with the tool in the interface, I was ready to get it configured and put it into play. Getting the chat bot set up and ready to go was probably the most challenging part of the process, as well as the most important. That’s because mine came with a number of basic questions and if/then options pre-loaded. For me, it was hard to see how using good-but-generic greetings and responses was going to engage potential clients, so I decided to personalize the dialogue to fit our style, and our personas, of course. To keep that process from becoming overwhelming, I started with a simple mind map. I asked myself why someone would arrive at the Kayak website, what they would be looking for, and what kinds of questions they might ask. Then, I created greetings and responses that would match up to my buyer personas. This took more time than expected, and really required a good amount of trial and error to zero into the point that it began to feel natural. After tweaking the chat bot side of the conversation many times, and testing it out in the preview tool, I was ready to try it out in a live environment. The first thing to know about using a chat bot on your website is that you can receive a lot of notifications. Because we enjoy a healthy search engine position for a number of high-traffic terms and phrases, I wasn’t surprised that our automated conversation-starter was getting a lot of use. However, I didn’t realize that we would get a message every time someone engaged with it. Imagine my surprise when I discovered a massive number of alerts in our Inbox in the first few days! While those numbers were incredibly encouraging, honesty prevents me from claiming the chat bot generated any real new business opportunities. Although it did manage to start several conversations with website visitors, the conversion rate was much lower than what we normally see from other more traditional sales funnel offerings (like downloadable e-books and worksheets). It’s never a great idea to draw too much data from a small sample size, but it seemed as if the tire-kicker type loved the chat bot while more serious researchers and prospects preferred to contact us through our contact form or phone number. In other words, I’m not sure we got any leads we wouldn’t have gotten without the chat bot. I’m willing to accept that it is an aspect of being a business to business firm rather than retail. Another noticeable drawback was that visitors would become irate if their handoff to an actual person wasn’t facilitated quickly enough. On a few occasions I forgot to mark myself away. That might have led to a few missed opportunities, and even inspired one particularly helpful visitor remark that I “go kill yourself, mate.” While that might technically count as website engagement, I’m not going to consider it a big win at any level. However, I wouldn’t want you to take all of this as me suggesting that chat bots don’t have any value or use in today’s online marketing world. Many of the problems I encountered likely stemmed from the fact that I hadn’t carefully scripted the bot interactions from the start. And as with all tools, I think it’s just a matter of deploying them correctly. Chat bots can help you start conversations, particularly if they are configured correctly. However, turning those interactions into leads is still up to you (or your sales team). Treat bot conversations the same way you would phone calls. Expect to do a bit of research, writing, and testing in the beginning of the process before your chat bot goes live. Script it carefully. For a marketer who is managing several different sites or landing pages, using a chat bot can be a great way to keep tabs on all of them at once and maintain several different interactions. 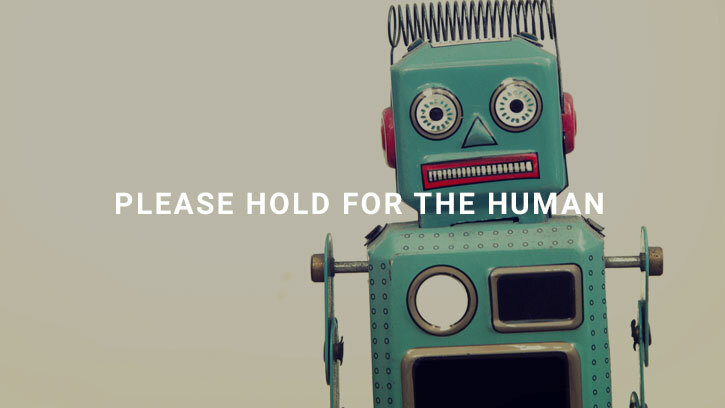 You might be surprised at where chat bots do and don’t add value on your website. Keep trying new ideas while being aware of the limitations (such as a weakness around spotting bogus email addresses or fill in gaps that occur during a conversation, or filtering spammers). It’s also worth pointing out that a chatbot might be very valuable in a situation where you have an inside salesperson ready to field questions or requests 24/7 or at least during posted business hours. Also, I can imagine customers using chatbot assistance to ask about things like sizes, colour choices, hours, etc in a more retail or service setting. It’s easy to see how the instant back and forth dialogue would be helpful. Along those lines, we are currently taking what we have learned to flowchart (or mind-map) a chatbot installation for one of our clients in the insurance and financial planning industry. Some early testing suggests things work better if we direct online conversations with “yes” vs. “no” inquiries, particularly with regard to common, early questions asked by visitors. I’ll update our thoughts on this as we learn more. I wish I could tell you that a chat bot is just what you need to turn more visitors into leads, or that you can ignore them altogether. As with most things in the world of digital marketing, though, the best answer for most of us is going to be somewhere in between, and based on solid business basics. After all a chat bot is just another tool. Place strategy first. To get a better perspective, why not try out a chat bot tool for yourself? Then, be sure to come back and tell me whether your experiences line up with mine!